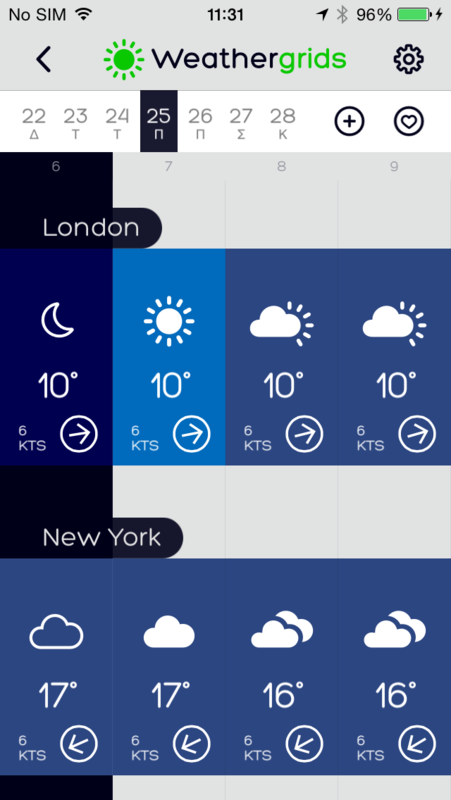 WeatherGrids is all about finding the right place with the right weather conditions at a glance. 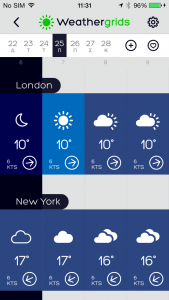 That is why we provide weather data in a grid, showing multiple places in one screen. The way it works is simple. You add the places / spots you want to monitor. We provide you with worldwide coverage, so you can add any place you want by touching it on the map. 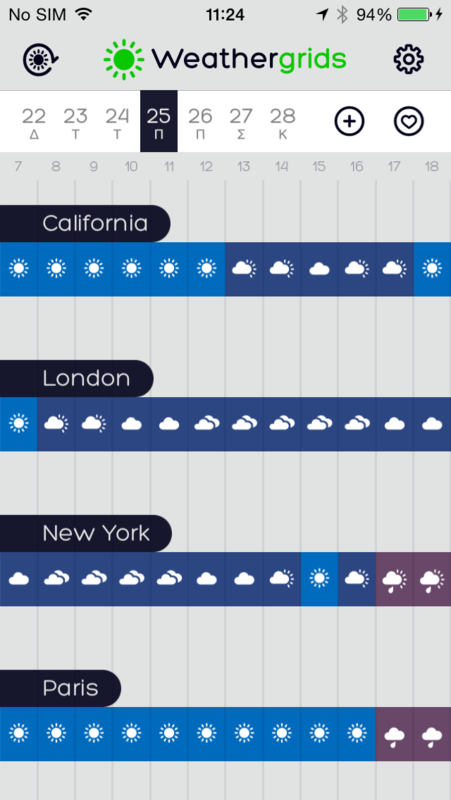 We also have 7-day hourly detailed forecast. For each place that you add you can set your individual requirements. Requirements are a set of weather conditions (temperature, cloud coverage, rainfall, wind and wind direction) that when met give green cells. We provide you with two screens. 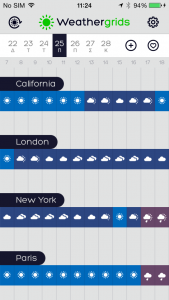 In one screen you can see an outlook for the whole day and quickly find the time of the day that suits your requirements. In one screen you can see 4 hours of detailed forecast. 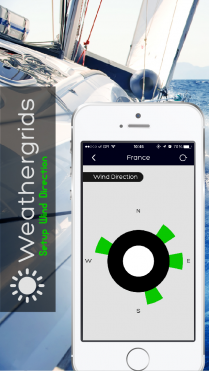 WeatherGrids is very flexible and can be used from just checking out the weather to finding ideal weather conditions for extreme spots. Cyclist / Runners / Joggers like us as they can add the spots they frequently use and set their requirements to meet ideal temperature and cloud coverage. 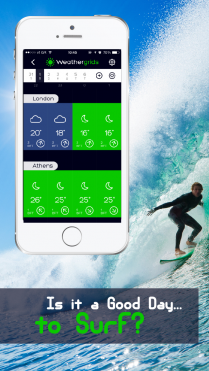 Surfers / Windsurfers / Kitesurfers like us as they can set their ideal wind power and direction. 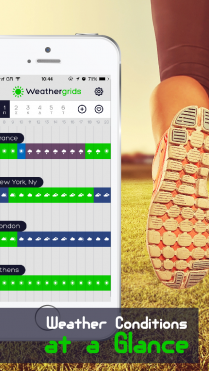 WeatherGrids can be used to monitor the weather conditions for any outdoor activity.